On the spectrum of braided fishing line, anglers often want a level in between high-priced brands and cheap risky spools. Especially for those just starting with baitcasting or conventional reels, Hercules Braided Fishing Line fills the middle gap. With perhaps more color options than any other braid, Hercules 4 and 8 strand weaves offer quality and budget pricing. Follow along for all the fibrous details about Hercules braid. Product: Hercules 4 & 8 Strand Braided Fishing Lines. Overall Ranking: 84 out of 100. 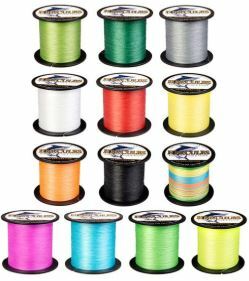 Hercules braided fishing line offers strength, affordability, and a huge array of colors to choose from. Manufacturing braids in both a 4 and an 8-strand weave, anglers can pick up filler or bulk spools. All this at a cost that won’t hurt as bad if you lose line to rat’s nests. No matter what water conditions you deal with where you fish, Hercules has a braid that will blend in. Hercules makes its 4-strand braid available in tests from 6 to 100 lbs. Filler spools come in lengths of 100 meters (109-yards), 300 meters (328-yards), or 500 meters (547-yards). For savings and filling of multiple reels, bulk spools come in lengths of 1000M (1094-yards), 1500M (1640-yards), or 2000M (2187-yards). Note: Anglers often arrive at Hercules braided fishing line due to the many choices they offer in color. Depending on their current availability, Hercules 4 and 8-strand braids come in 15 different colors. Check the Features Section below for the full run-down of Hercules color options. Hercules manufactures their 8-strand braids in tests starting at 10 lbs and going as high as 300. They offer the same length spools as they do in their 4-strand models. Like the 4-strand braids, Hercules 8-strand spools come in all 15 colors. Again, this depends on supply and availability because of market conditions. Hercules lists the same diameters for the 4-strand as it does for the 8-strand tests. While this is difficult to believe, anglers can still use these line diameters as a rough estimate. At the very least they’ll give you an idea of how much Hercules braid your reel will hold. For strong braid that can handle fishing around fronds and reeds, Hercules makes their 4-strand weave. When your casting is paramount to angling success, 8-strand braid by Hercules flies smoothly from your rod. 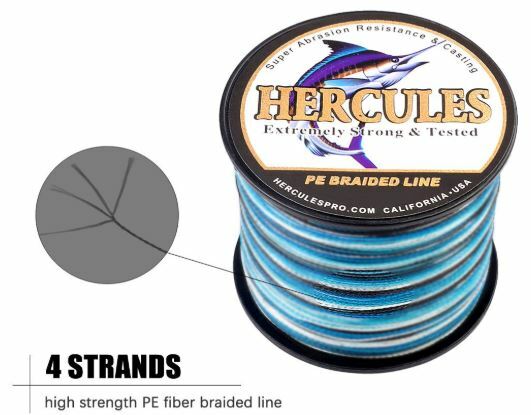 Whichever strand count you prefer, Hercules braided fishing line brings the reassurance of UHMWPE fiber. What does that contraction stand for? UHMWPE is Ultra High Molecular Weight Polyethylene. Odorless, colorless, and non-toxic, it provides the properties that allow the creation of braided line. The rougher profile of the Hercules 4-strand braid gives way to a smooth finish in the 8-strand weave. Due to its tight diamond weave around a solid core, the 8-strand braid excels in casting distance. It flows off your conventional reel and won’t dig in as much as 4-strand braid. Enhanced Coating Technology slicks the line out enabling it to slide through line guides for additional casting yards. Though it might sound similar to Power Pro Spectra’s Enhanced Body Technology, the Hercules coating is not the same. Power Pro uses a resin that coats the fiber during the braiding process. Hercules braided fishing line doesn’t treat each strand in this manner. Still, the resin-like coat helps seal Hercules braid and keep it from becoming waterlogged. Like other treated braids, it does give the line a silky feel for maximum smooth casting performance. The obvious advantages that come with Hercules braided line show in its budget pricing and many color options. Anglers have Camo-Blue for blending with deep ocean waters, different shades of Green for lakes or rivers, and many other colors to match your local hot-spots. Besides these clear assets, Hercules bestows all the characteristics anglers expect out of a quality braided line. The use of PE fiber strands makes the line super sensitive, alerting fishermen to the tiniest nibbles. A trait that results from the non-elastic properties of the fiber. Enhanced Coating Technology protects the inside weave which adds abrasion resistance and durability. 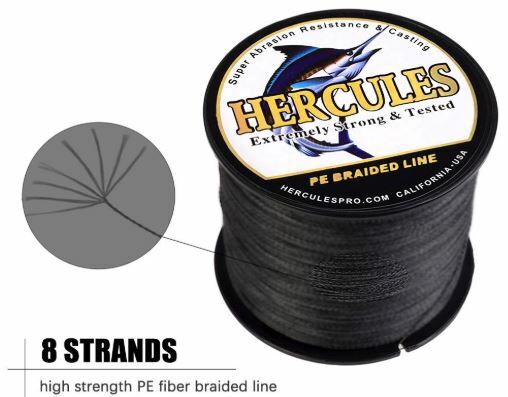 Hercules braided fishing line, though a step above many cheaper braids, can present issues in quality control. Anglers reports suggest that sections of the line come unraveled in random spools. Research of the Hercules company doesn’t bring up much info besides it being manufactured in China. Though feedback from anglers reveals a very strong braided line, the colors tend to fade rather quickly. Hercules makes no mention of any color lock application, a process that surely adds a cost to manufacturing. All brands of braid tend to fade after extended use, though brands with color lock technology hold their hues longer. If you are getting accustomed to using braid or casting with a conventional reel, it helps to spool up with a less expensive line. Hercules braid takes the pressure off the beginner who may be afraid of foul casting. Let’s face it. No one wants to see a bird’s nest in their brand new Power Pro Super 8 Slick or SpiderWire Ultracast Braid. Anywhere that small or gargantuan fish may swim, Hercules braided fishing line has the strength to pull them in. With test ratings as light as 6 lbs and as heavy as 300, anglers can spool up just about every reel on the market. One interesting find about Hercules Fishing Tackle is their commitment to customer satisfaction. Braided lines typically come with a standard return policy but due to their nature, rarely offer any type of warranty. Hercules, however, offers up to 20% back to customers who express dissatisfaction. Visit the Hercules website @ Herculespro.com for contact info or to subscribe to their email list. If you fish tournaments and can’t accept anything but the highest grade braided lines, your better off going with Sufix 832 Advanced Superline or Seaguar Smackdown. The greater majority of anglers can appreciate a line that saves some resources. 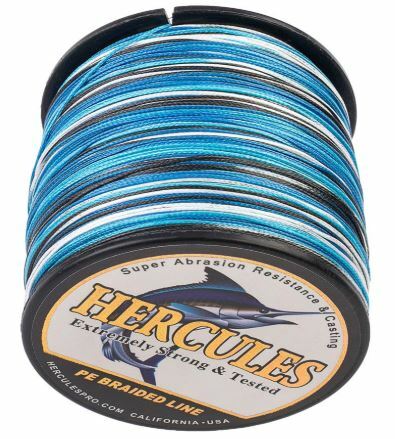 Hercules braided fishing line makes a great product for exactly that purpose. Take note that its drawbacks don’t include any compromise in strength. 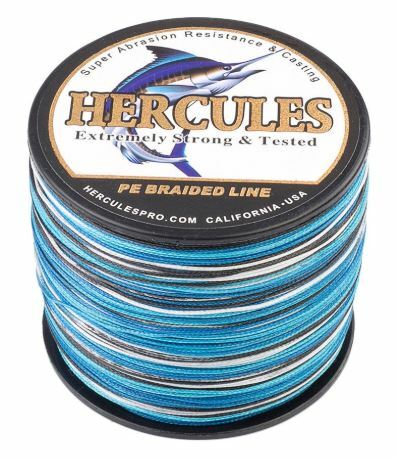 Do you have a positive or negative experience with Hercules Braided Fishing Line? Speak up in the comment section so other anglers can hear you. 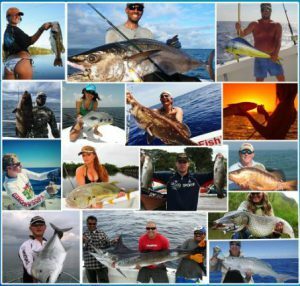 Ask any question pertaining to fishing gear or its use and FishtFight will get right back to you. Thanks for reading and until next time, keep your smiles salty and your lines tight.